Once you become a homeowner, the safety of your home and the loved ones who live there become a main concern. A few common precautions you’ve taken to protect your family from danger include having a security system professionally installed, regularly testing your smoke detectors and creating an emergency escape plan. But you may be neglecting one of the biggest dangers lurking in your home. That danger is known as carbon monoxide (CO) – a colorless, tasteless and odorless gas that is undetectable by human senses. Carbon monoxide is created by burning fuel such as gas, oil, kerosene, wood or charcoal. It can emit from any source that burns fuel, including furnaces, fireplaces, space heaters, central heating systems, stoves and automobiles. These products are designed to function safely and only release a harmless amount of CO into the air, but improper use, damage or faulty construction can cause them to produce high levels of the toxic gas, which can be lethal. The effects of carbon monoxide can be deadly. In the body, red blood cells absorb carbon monoxide quicker than they pick up oxygen. When high levels of carbon monoxide are present, the body begins to replace oxygen with carbon monoxide in the blood, which blocks oxygen from getting into the body. As a result, the victim may begin to experience headaches, dizziness, weakness, nausea, vomiting, chest pain and confusion. If left untreated, carbon monoxide poisoning can result in death. 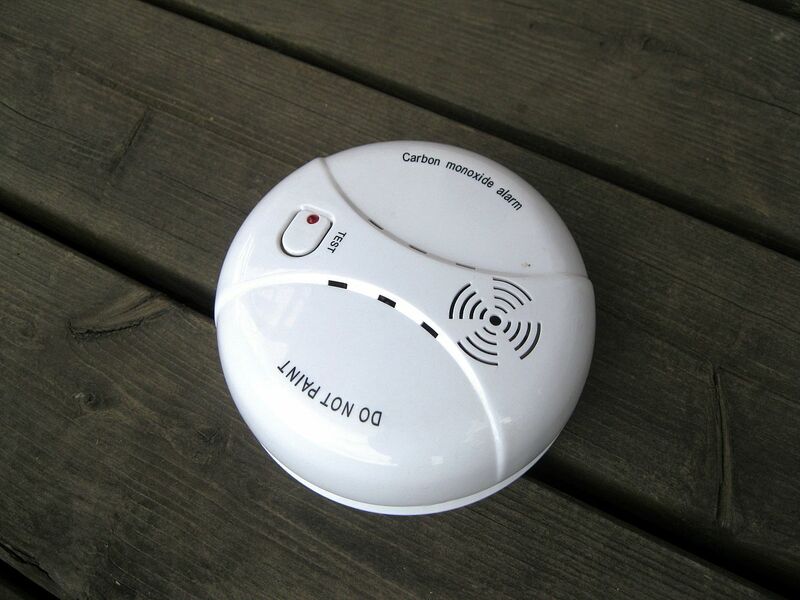 So how can you protect your family from carbon monoxide? The Electronic Security Association (ESA) recommends these tips. First, install CO detectors in your home to alert you of unsafe gas levels. A trusted alarm company will be able to recommend appropriate detectors for your home and determine the best place to put them. You can find an alarm company that is a member of ESA here. The life span of a detector can range anywhere from five to seven years, so check the manual and replace detectors accordingly. Additionally, many wireless detectors utilize lithium batteries, which typically last between two to five years and then need replacing. Proper maintenance of the detectors in your home help ensures their reliability. Make sure everyone in your home knows what the detector sounds like. Develop an escape plan to ensure your family will be able to safely exit your home during an emergency situation and practice your plan as a family once a month. It’s also important to use household appliances safely. To avoid a carbon monoxide leak, have your heating system, water heater and other fuel-burning appliances serviced by a qualified technician every year. Only use your appliances in the way they are meant to be used, and never used damaged appliances. Carbon monoxide is a danger that is impossible to detect on your own. Enlist a security company to install a CO detector and use these tips to keep your family safe and sound.